How effective are your current marketing techniques? Are your customers receiving the service that keeps them satisfied and loyal? What steps could be taken to increase product or service revenue streams? Nearly every business wants the answers to these questions and others, the problem is finding a efficient method of gathering data that clearly documents steps in your product, sales, or marketing cycles that could be improved. You can monitor and enhance the efficiency of your company with customized reporting tools from Dynamic Digital Advertising(DDA)’s Customer Relationship Management (CRM) systems. Dynamic Digital Advertising offers custom web database programming for CRM reporting tools. 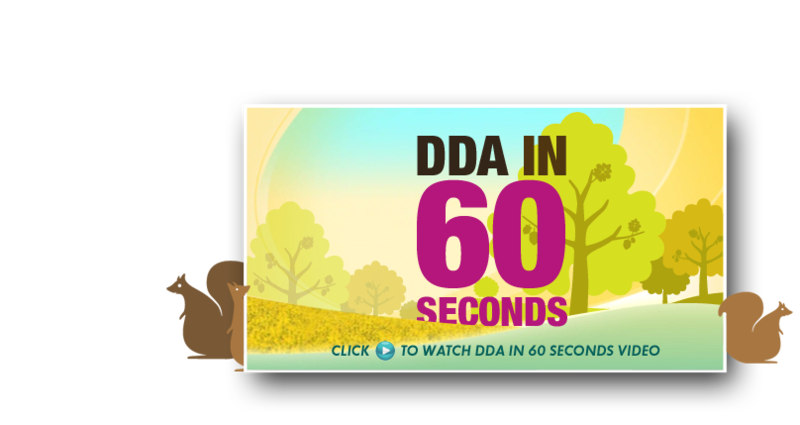 DDA strives to develop customized tools that generate reports automatically or that allow employees to create reports quickly, accurately, and dynamically. Call today to learn more. There are a limitless number of ways Dynamic Digital Advertising can program a custom report generator for CRM tools. DDA designs CRM reporting tools in PDF’s, email, diagrams, charts, graphs, PowerPoint Presentations, web pages, and more according to the specifications of the client. These reports can also be automatically assembled on one page in dashboard form and comprise a variety of elements in different formats. They can be generated automatically for each user or group of users, or an administrator can control the general report format and access privileges by adding the proper figures. Custom reporting tools can be programmed to meet the specific needs of your business. Whether you need graphs that automatically detail marketing expenditures or other expenses over a specific period of time or diagrams that compare lead conversion rates of different sales representatives, Dynamic Digital Advertising programs the CRM tools you that help you monitor the efficiency of your company. These reports are automatically generated daily, weekly, monthly, quarterly, etc., and are stored in a reports folder. From here, specific reports can be selected, viewed, sent, or printed by the employee, manager, CEO, sales rep, or anyone given the proper administrative login. Customized reporting tools for Customer Relationship Management systems also give you the power to improve the productivity of all your employees. Based on the type of reporting tools programmed by Dynamic Digital Advertising, you get a clear visual of the performance of your sales department, marketing team, product development division, and more. This allows you to identify areas of slowness, weakness, dissatisfaction, and inefficiency. Having identified these areas, you can take the proper steps for improvement, whether its targeting a new market segment, eliminating unnecessary expenses, or developing new products and services. With DDA’s custom programming expertise behind your Customer Relationship Management system, your business is able to procure the data necessary for process improvement. Generate informative reports with the speed necessary for doing business in today’s competitive marketplace: call Dynamic Digital Advertising today. Since 1994, Dynamic Digital Advertising has been a leader in digital marketing and Internet promotion. Based in the Bucks County area outside of Philadelphia, Pennsylvania, DDA has the programming experience that allows for the creation of advanced tools that help our clients leverage digital technology and succeed in the 21st century marketplace. Whether your business is based nationally or regionally in Pennsylvania, New York, New Jersey, Delaware, Maryland, and Washington D.C., contact DDA now for custom database programming for CRM solutions. Americas premier custom website design company, Dynamic Digital Advertising, offers clients a better way of earning higher search engine rankings: a proprietary website design process of fourteen distinct steps. Many of these steps work to incorporate the organic search engine optimization methodologies that earn top spots on major search engines such as Google, Yahoo, and MSN, while other steps work to create a website that is easily navigated and that provides the pleasant user experience that turns targeted traffic into actual business. Dynamic Digital Advertising does more than provide high quality custom database programming services: DDA also offers clients one of the most extensive and diverse graphic design services lines in the United States. Businesses based anywhere in the country, whether in Pennsylvania or California, are benefiting from DDAs graphic design services. These services include everything from aesthetic web graphic design to trade show graphic design and are the perfect vehicles for capturing the attention of the members of your target markets.